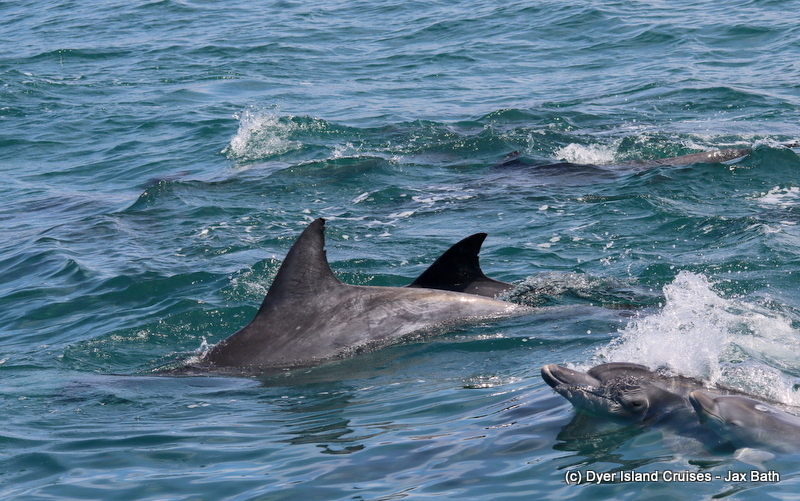 We had the most fantastic time out at sea today, with Bottlenose Dolphins seen left, right and center. 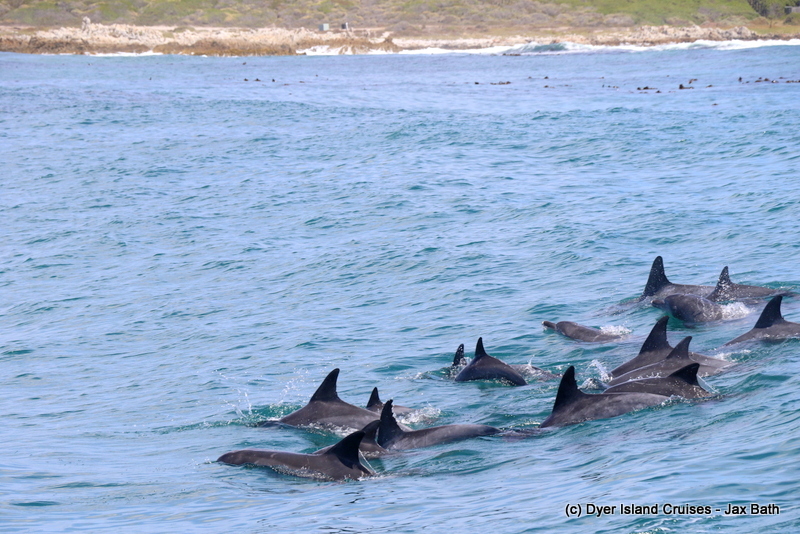 After 4 days off the water, we had been itching to get out and do some spotting, so we set out at 11 after the swell dropped and almost immediately came across a pod of Bottlenose Dolphins hanging around in the swell just behind Black Sophie’s Rock. These animals will travel vast distances following the fish resources up and down the coast, so we always feel super privileged when we do get to spend some quality time with a pod. 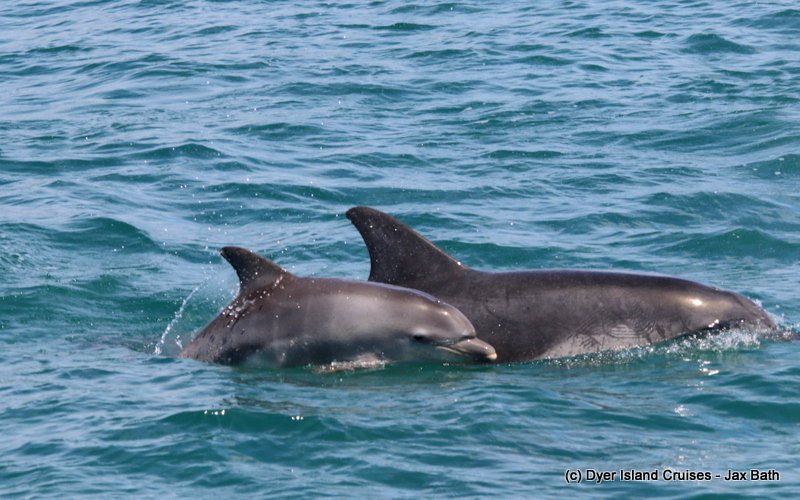 Today, we were especially thrilled when we spotted a couple of teeny tiny calves in the mix, as there are few things more adorable than a baby dolphin. We spent the next twenty minutes in awe of this gorgeous pod, who were having some fun and moving sporadically through the bay. 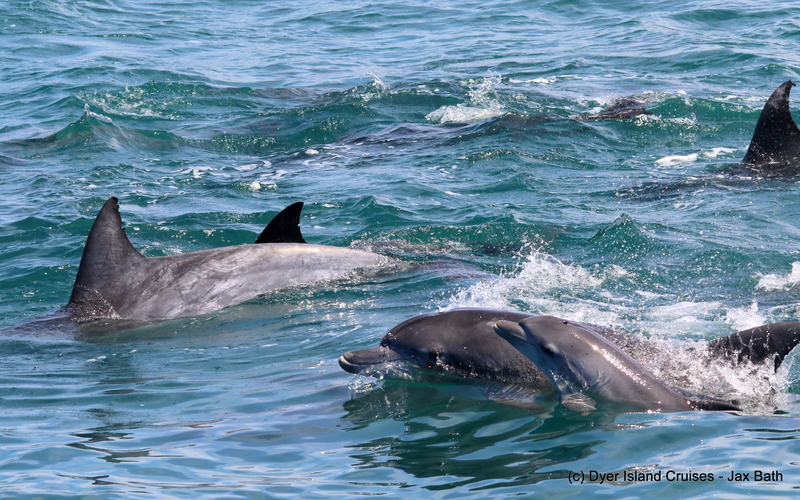 The visibility was great today which meant that we were able to watch the dolphins swim under the surface, which is one of the most incredible things that we get to witness out at sea. the dolphins swam with us for a while, and we even got to see one dolphin doing some lobtailing, which is when they slap their tails against the water! 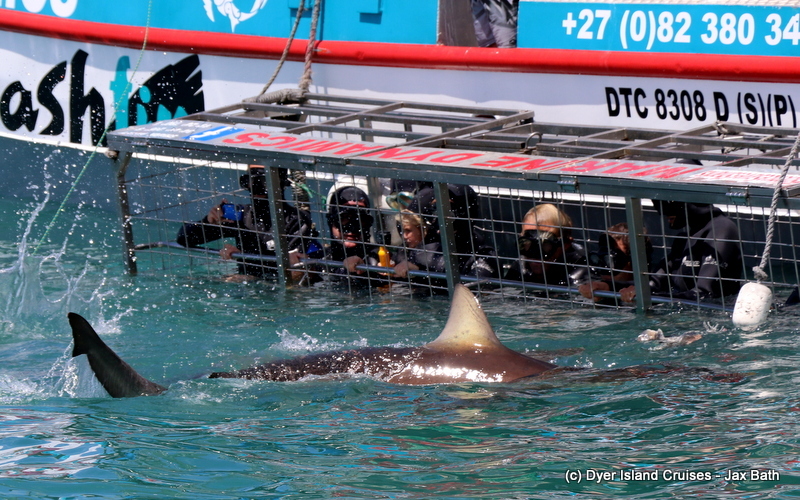 After this awesome sighting, we decided it was time to pay a visit to some more predators over at the shark cage diving boats. Here, we got some lovely sights of our curious Copper Sharks who seemed to be giving the divers a once in a lifetime experience in the water. 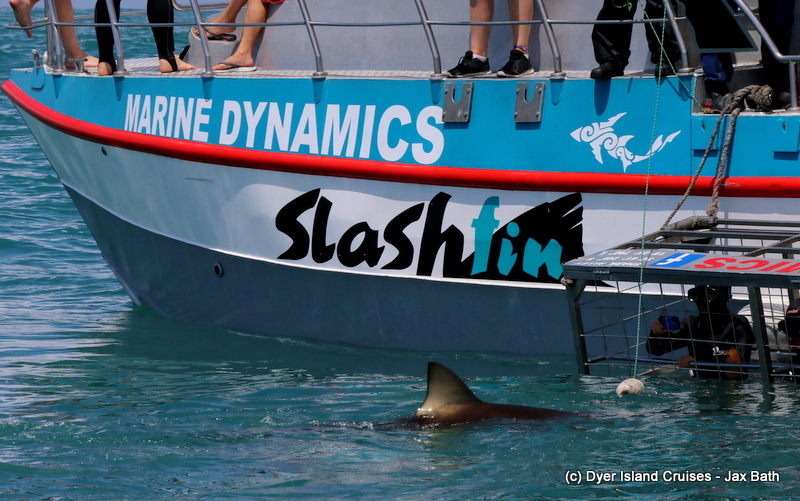 There were a couple of sharks about and we got to watch as they came up to have a look at our bait lines, exposing their dorsal fins as they made their way in for a closer view. 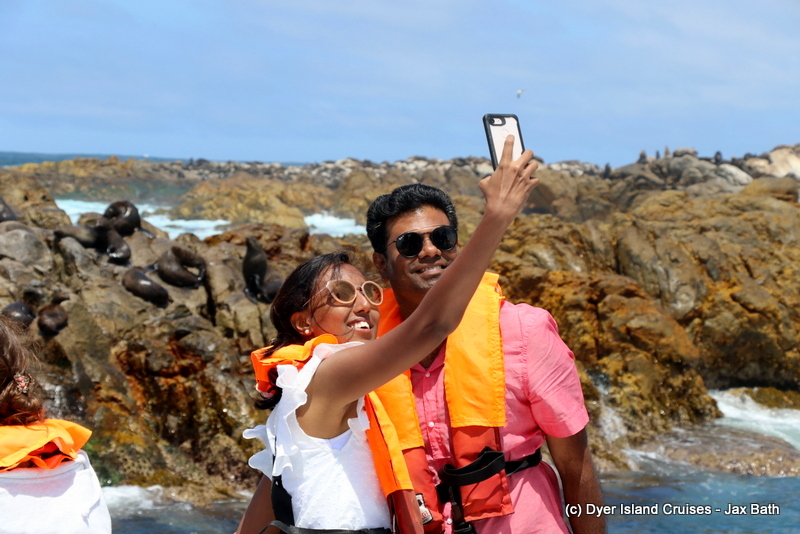 We then took a stop in Sponge Bay to look for the only bird in the Marine Big 5, our pretty little African Penguins. 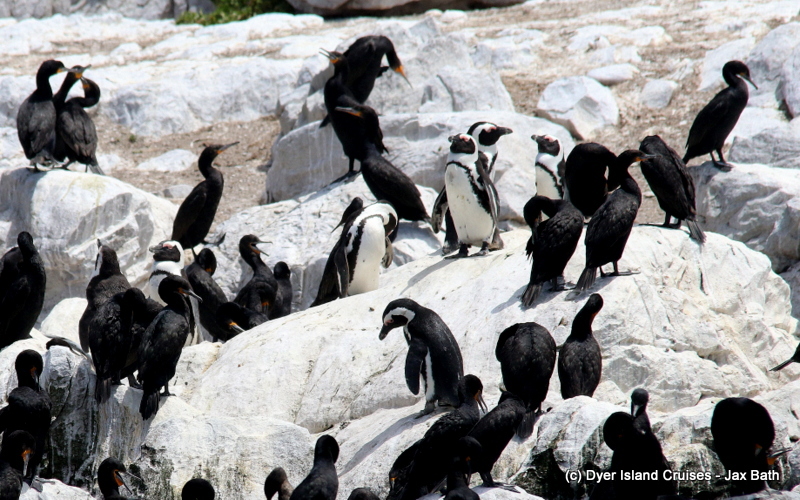 Although the Cape Cormorants made for some tricky spotting, we all eventually located the penguins before travelling with some more Bottlenose Dolphins and cruising by the Cape Fur Seals of Geyser Rock. We decided, after our time in Shark Alley, to check out the back of the island to see if there was any more wildlife who needed watching. 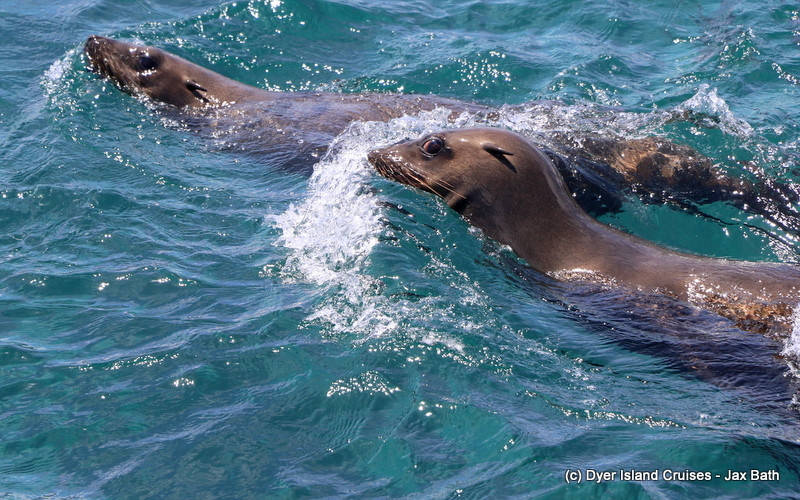 We caught up with a pod of Bottlenose Dolphins once more, but the show was stolen by a very unusual fish. Whilst watching the dolphins, who had been picking up speed, we got the surprise of our lives when a couple of Flying Fish jumped out the water! Although they are seen up the coast, this was the first sighting in our field of study for all the Dream Catcher crew, who have thousands of hours of experience here. We were all ecstatic after having seen these gorgeous and unusual fish take to the air. Flying fish are more commonly found in warmer water and can spent over 30 seconds in the air, travelling many meters to evade predation. Content with all that we had seen and experienced in our 2 hours out on the deep blue, we made our way back to the harbor after a spectacular end to a spectacular tour. 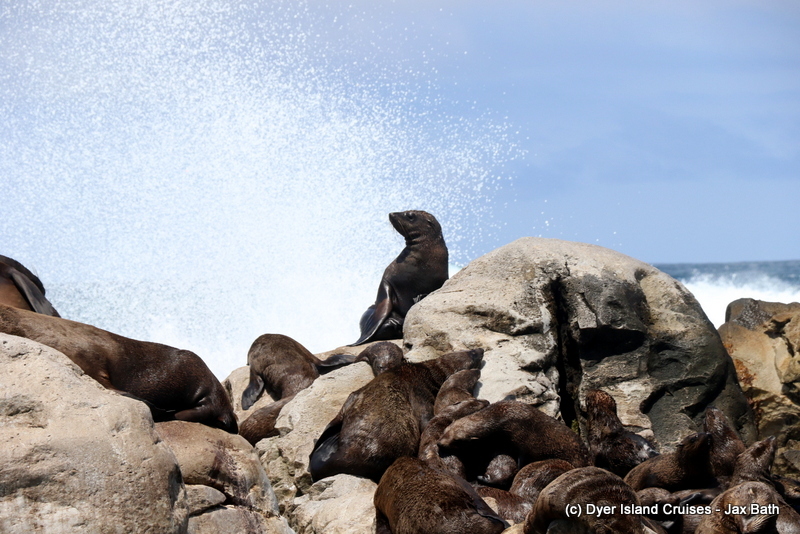 The African Penguins of Sponge Bay. Taking some snaps over at Hospital Rock. Fun in the sun in Shark Alley. 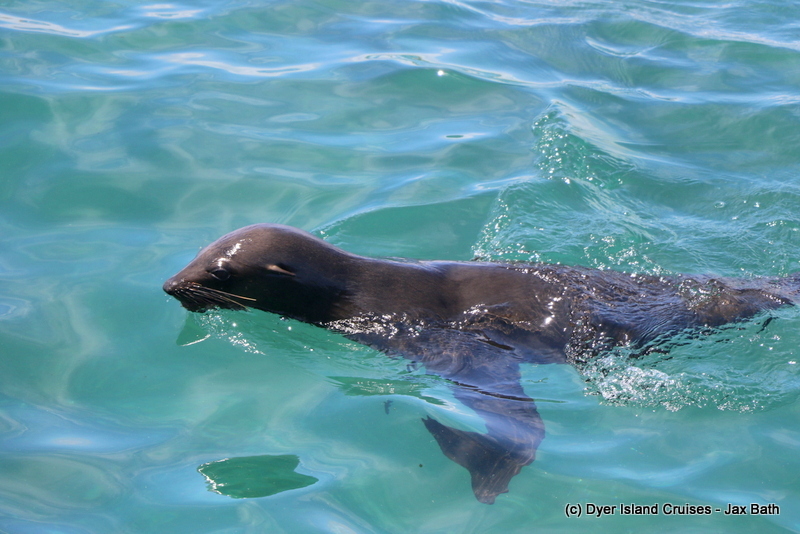 A confused Cape Fur Seal. 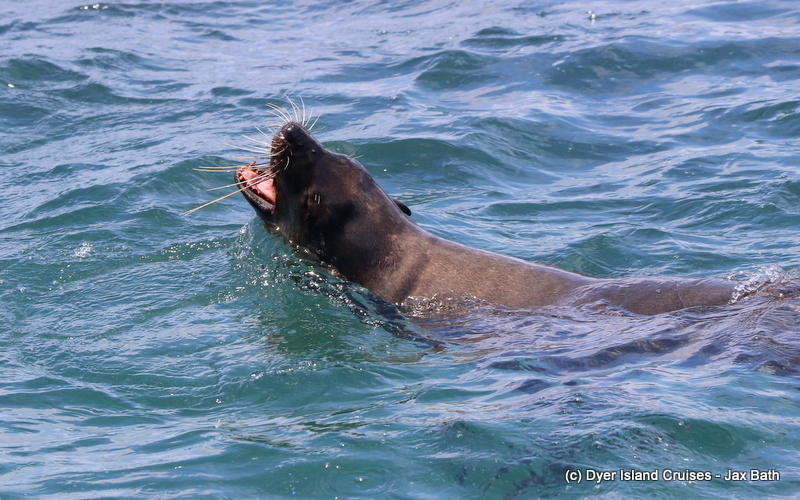 A bit of a yawn, it’s tough being a seal. A little one surfaces next to mom. 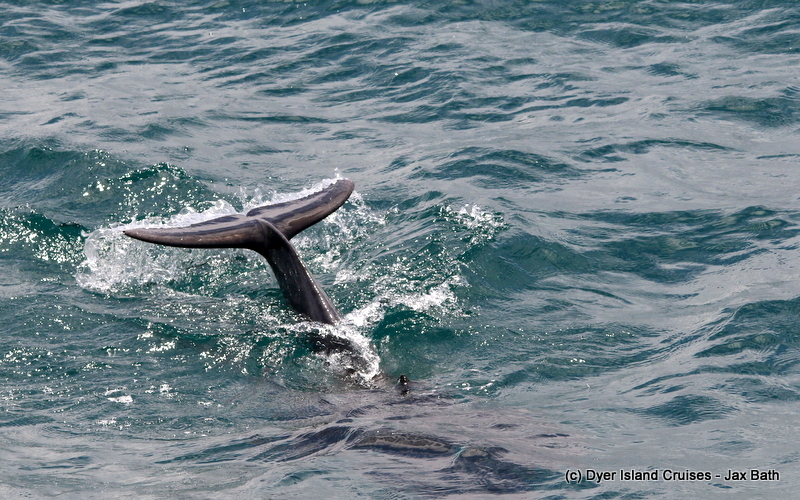 If one looks closely, you’re able to see lines running vertically from the dorsal fin. We call these fetal folds, which are only found on very young dolphins. We had lots of babies around today, and it’s almost impossible to get enough of them. 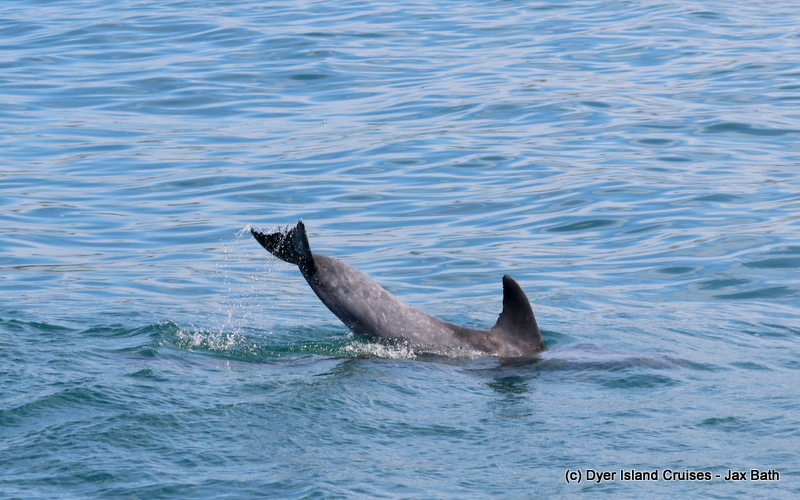 An awesome dolphin doing some lobtailing. 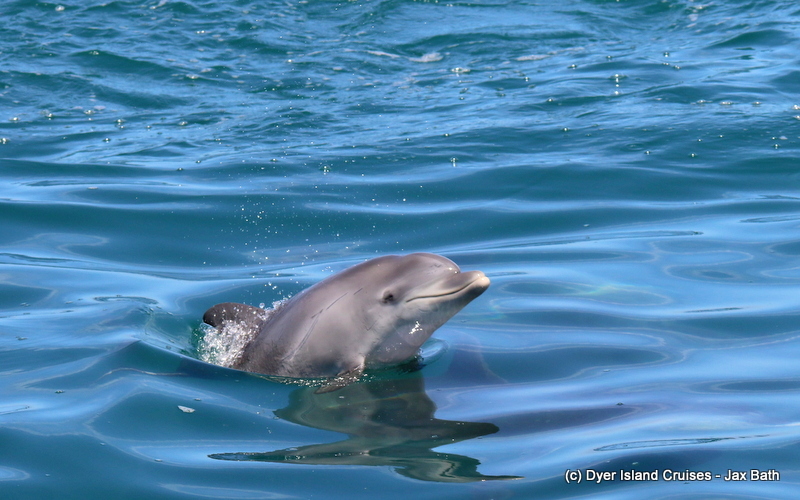 An eager baby Bottlenose gives us a smile. 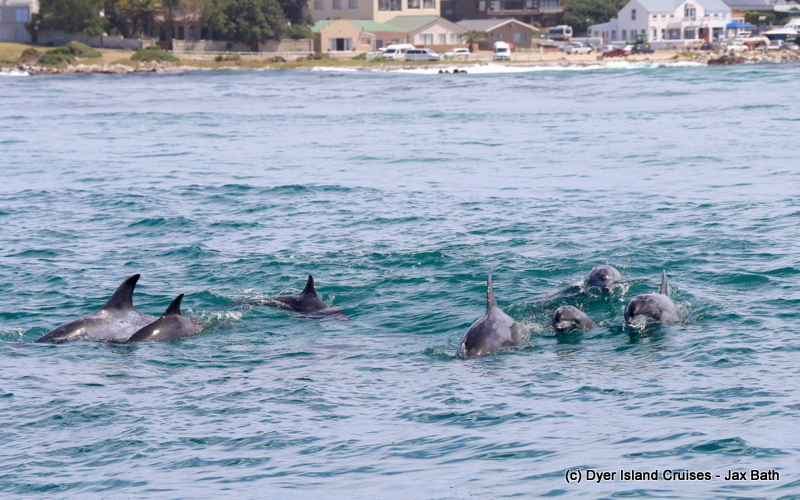 Dolphins hanging out in front of the harbour. 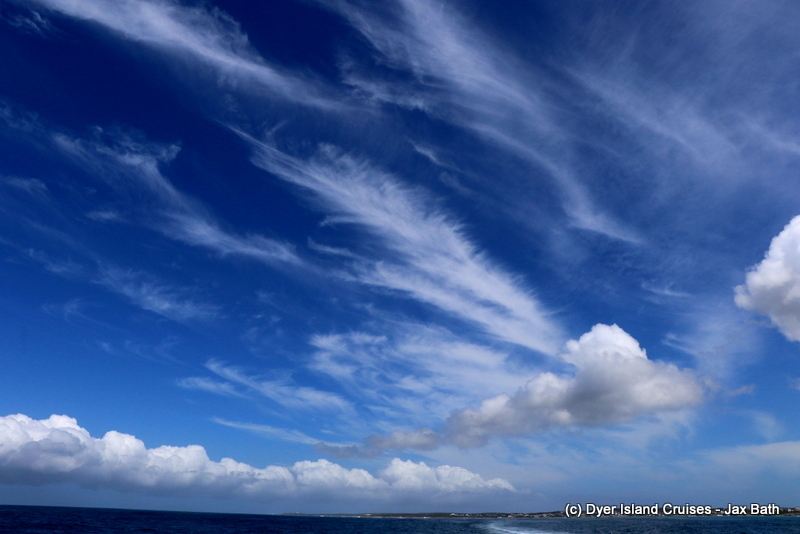 Some stunning cumulus and cirrus clouds over the bay. A Copper Shark comes in for a closer look. Divers being enthralled by a large Bronze Whaler. 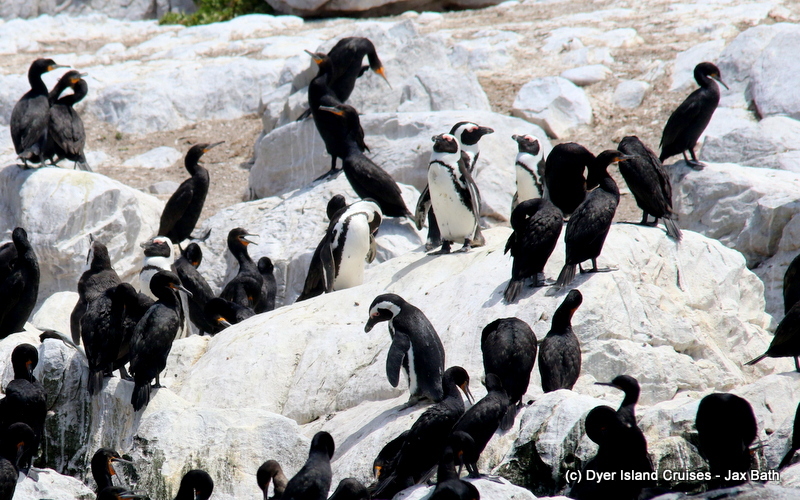 can you spot the African Penguins? 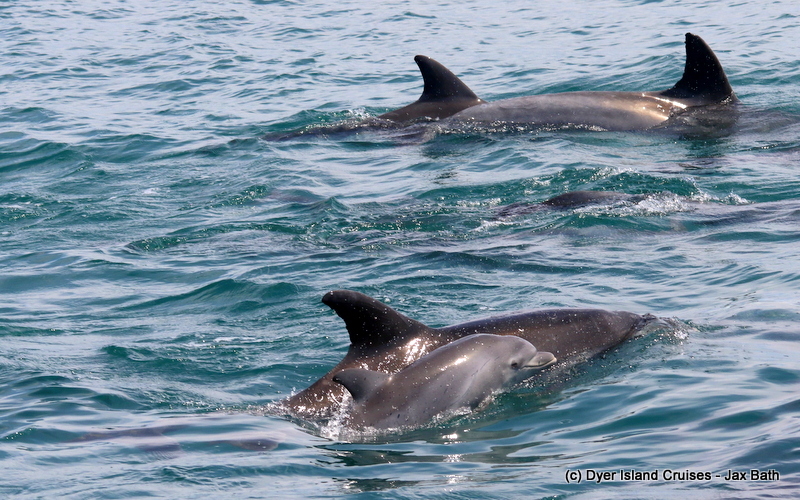 The Common bottlenose dolphin is the archetypal, and possibly most famous species of dolphin. 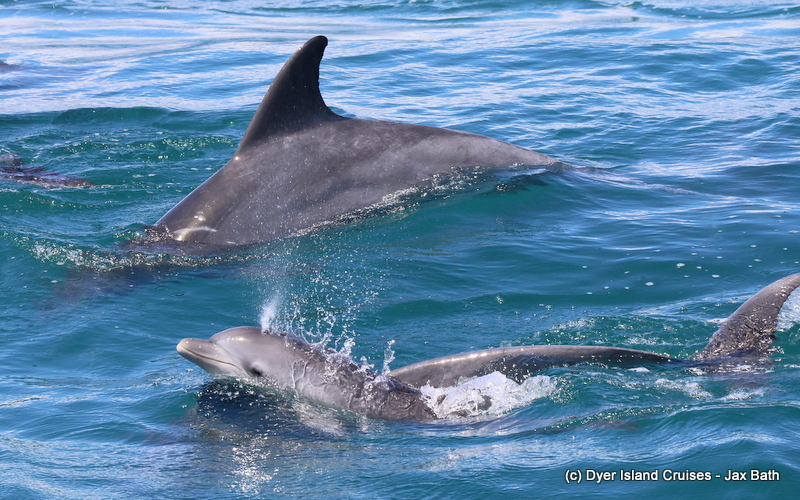 They are the most commonly seen dolphin on television and in aquariums.